Describing someone as 'legendary' is like a precursor to them appearing on BBC Radio 4's Desert Island Discs. Which was typically a precursor to an appearance on the now defunct UK TV show This Is Your Life. Which was rather like witnessing someone attending their own wake. 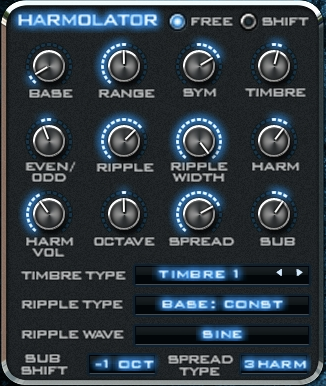 And so it's with caution that we should name the developer of this new, additive soft synth as the 'legendary' Rob Papen. From the off, however, let's say that with Blade, Rob's abilities appear to be as sharp as ever. His Albino 3 continues to astound; his Predator to punch; his Punch to smash yer face in; and now Blade is poised to cut a splattergore swathe through the yielding flesh of the synth market. Yummy. With a monicker like Blade, you'd expect this 32/64-bit AU/VST (32-bit only for RTAS - AAX on the way) for Mac and PC soft synth to be subtractive: One starts with a complex waveform and hacks lumps out of it. 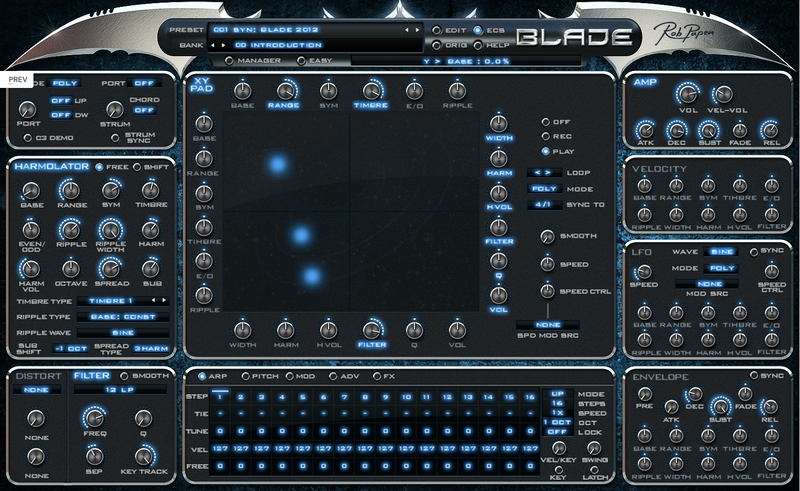 But Blade is additive at heart, although there's subtractive timbre-shaping control. If stumped, mug up on subtractive and additive, then hop back. Ah, here you are. That was quick. And quick it is to grasp Blade - nay strangely painless if you're au fait with such additive marvels as Camel Audio Alchemy, u-he Zebra 2 and Native Instruments Reaktor instrument Razor. But with such well established titans on the market, why be additive with your synth collection? Well, there's ease of use for starters. 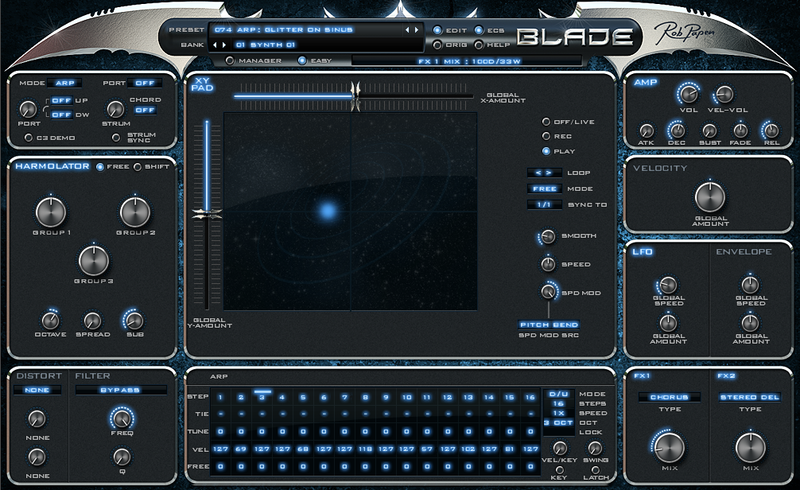 Blade's front-end, while busy with knobs, a 16-step arpeggiator/modulation-sequencer and Spectrasonics Omnisphere-esque XY panel at centre, is simple enough to navigate. There's even an Easy screen enabling you to cut clutter and concentrate on just the main controls. Also high on the list of commendables is the patch-library manager, which offers powerful means of organising your own and the extensive bundled collection. Go on, look at it! Better? We'll come back to the little blue dots later, don't worry. First, mention must be made of the über-gutsy Harmolator at left. It has nine controls by which to construct and modify initial sounds, then fatten things up by 'spreading' oscillators and applying square/sine-wave sub-oscillators. If you're a big fan of wobbles, then drink lots of vodka and try to function the morning after. 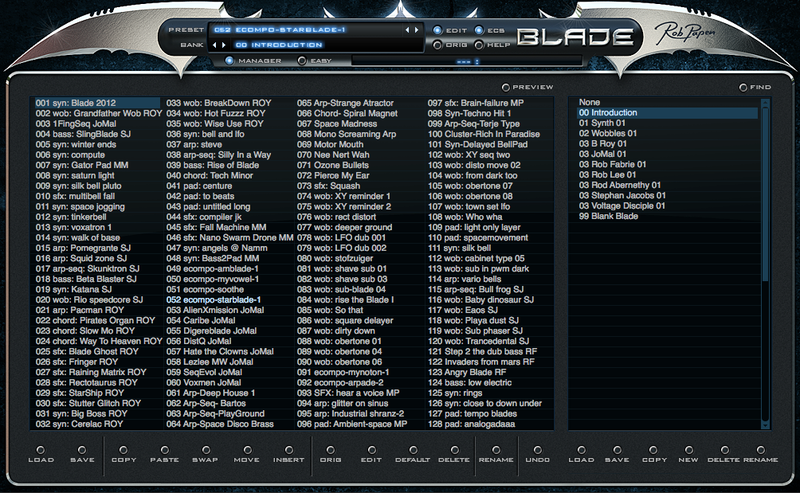 If, however, you're taken with the modern yen for wobbly dubstep synth bass, Blade delivers in spades. 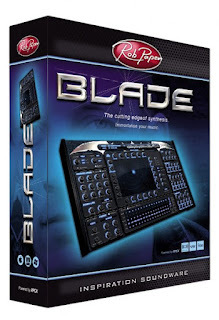 Sure, the sound-generation capabilities carve a top-notch performance, but where Blade really cuts it is in the level of control offered over a sound's evolution, as facilitated by the XY pad. Like everything else, XY parameters are controllable via MIDI, which makes for intriguing live-performance implications if you've a trackpad hooked up, and tempo sync makes it most musical indeed. Through the miracles of streamed audio and moving pictures, you should have a good picture of whether you like the cut of this Blade's jib. A more capable (ie, more steps) arpeggiator would be welcome, perhaps some skins and, somewhat importantly, iPad control - this latter is not possible. Yet. However, we've already plenty of nice for the price. 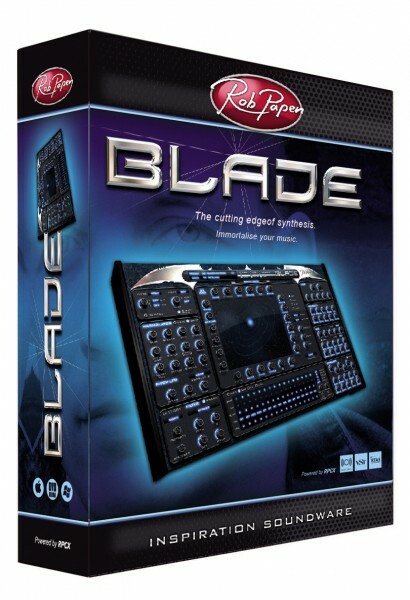 I've not mentioned the on-board Papen dual-FX, including reverb, delay and distortion, or the wealth of modulation routing by which all of Blade's controls can be set as destinations. But I have now. Let us look at this 'ere price, then. UK, Benelux, German, Austrian and Swiss distributor Time+Space has an *introductory price of £78.95 running until the end of May 2012, as has Papen's online shop. At that tag, you do get a rather big bang for a rather small buck. The Harmolator's tone-generation capabilities are immense and, coupled with extensive and malleable temporal sound-shaping tools, make Blade a great weapon for sonic buccaneers either swashing their buckles in sound design or dicing dubstep on the dancefloor. The MuzoBlog verdict? Keen.